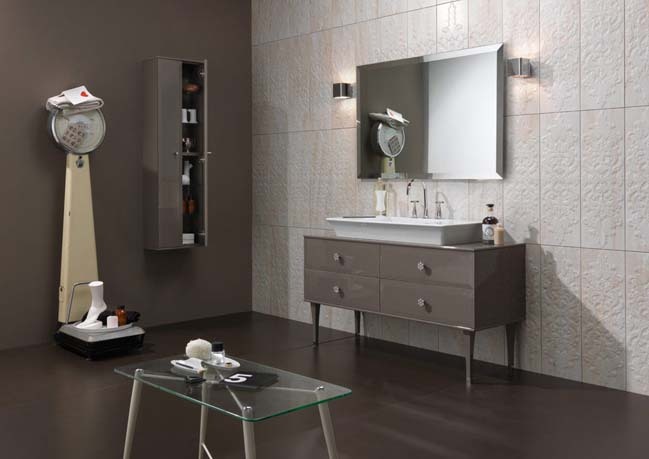 This is a luxury collection of funiture and bathroom by Regia. 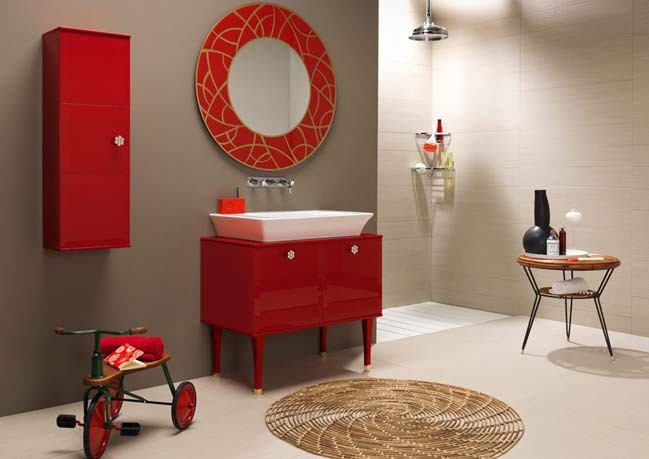 It shows you a series of vintage bathroom ideas to reminisce of the essential lines of Art Decor glamour. 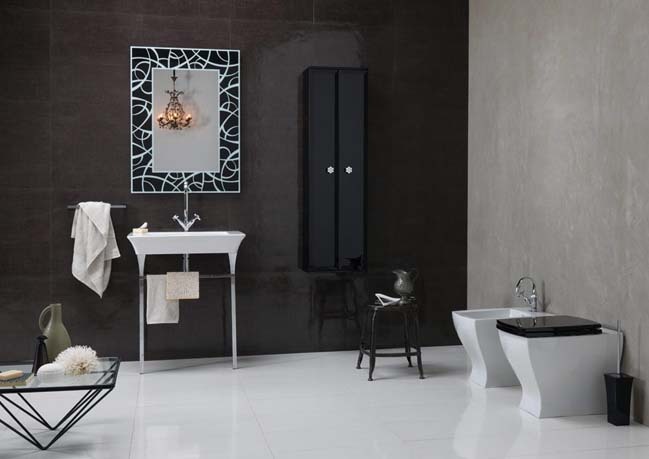 Collection description: It intends to create a bathroom that recalls certain specific trends of past eras so it can portray the fashion of the future. 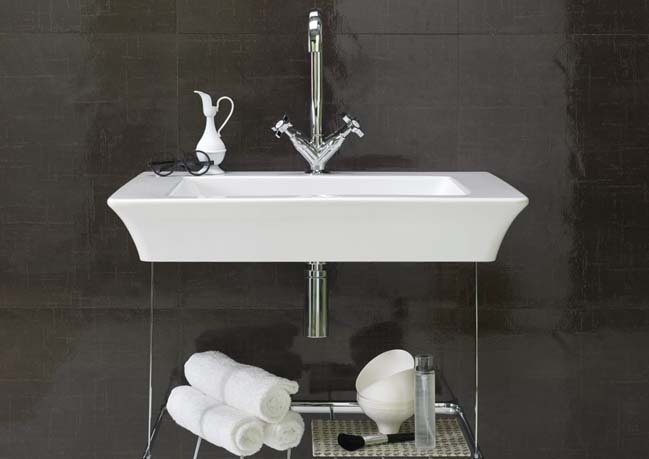 Vintage is a complete series for furnishing bathrooms from start to finish. 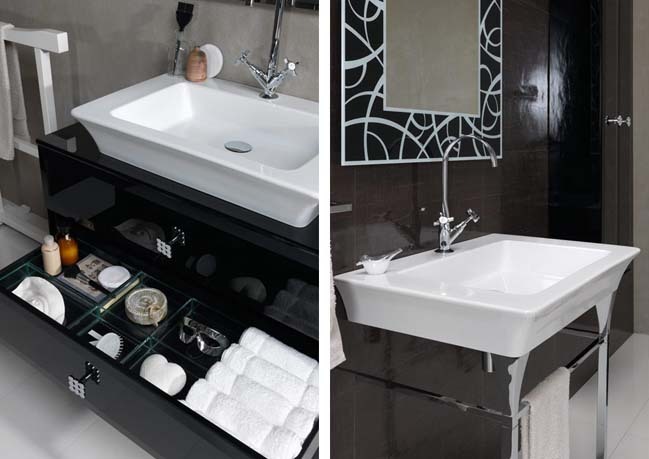 Designed by Bruna Rapisarda and Franca Lucarelli, it includes washbasins, bathtubs, taps, mirrors, furniture and two series of accessories. 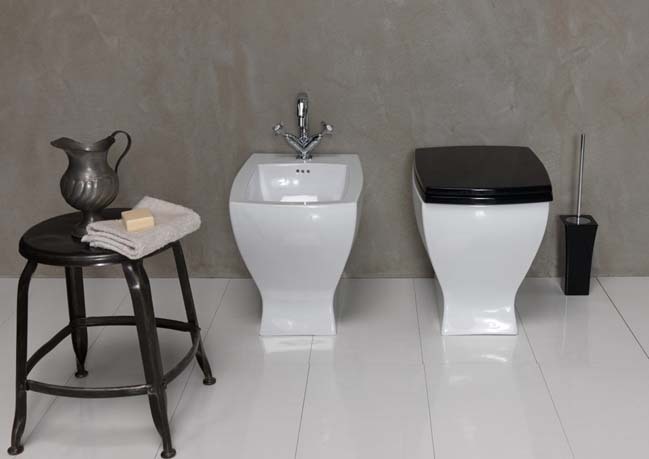 Moreover it also features a first-time experiment for Regia: sanitary ware. 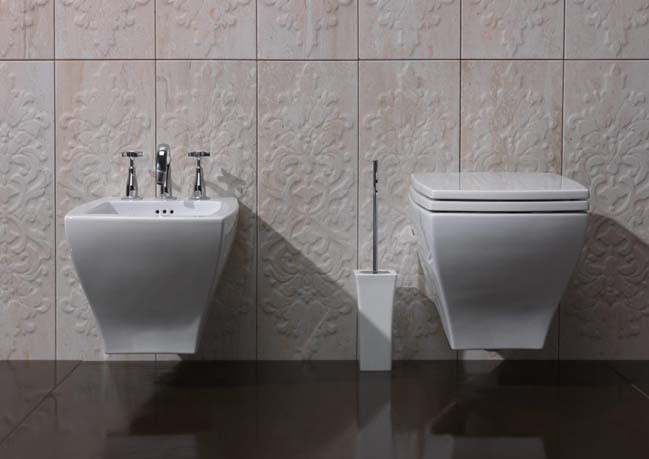 The starting point of the entire collection is the white ceramic washbasin (the most traditional material for bathrooms) distinguished by a tapered rectangular line, the motif found in all the other articles of the collection to make matching ceramic sanitary. 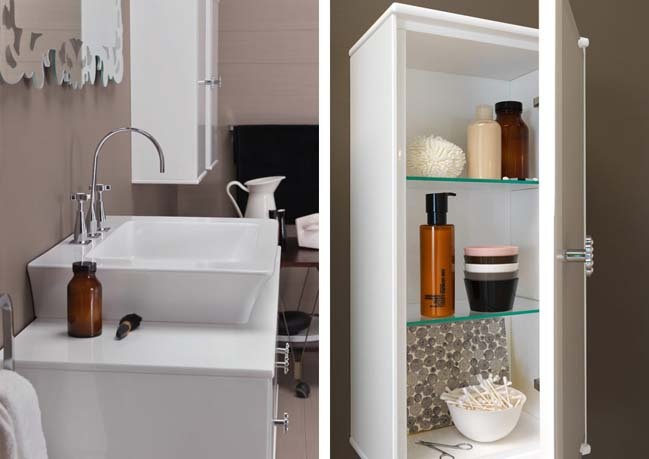 Available in the floorstanding and suspended wall-mounted versions, the washbasin comes in two sizes, 74 cm and 100 cm, with a column or metal structures as a functional completion, such as bars, towel shelves and console. 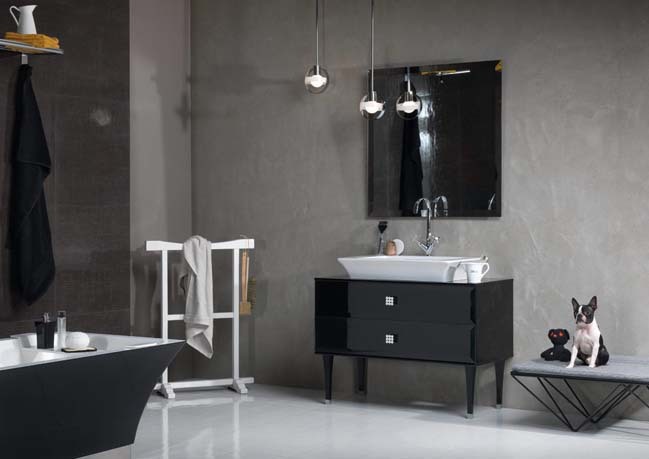 As regards the bathtub, Regia decided to use livintech®, a newly formulated material designed to meet the highest standards of quality, technology and the environment. It is a completely nontoxic hypoallergenic fire-inhibiting material; more important, it is eco-compatible because it can be entirely recycled. 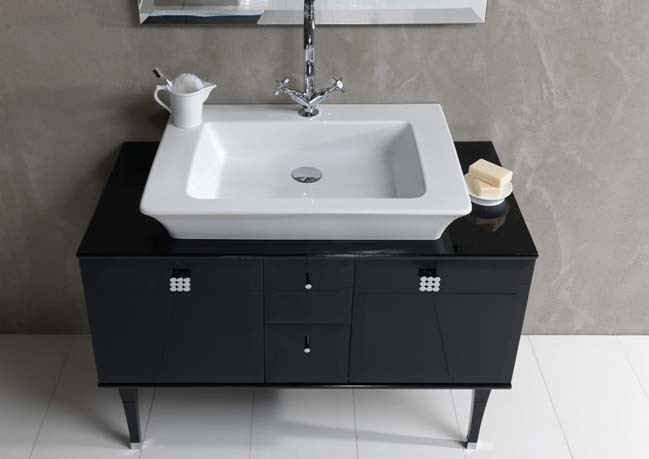 The tub is available in all white or with a chromatic contrast of white on the inside and black on the outside. 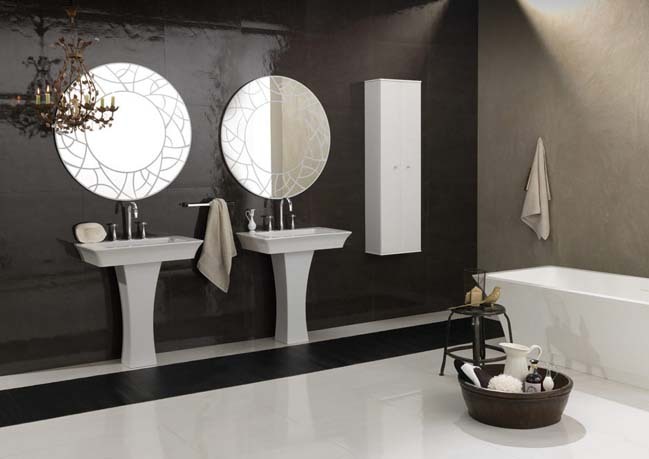 It can be floorstanding or stand on shiny steel feet. 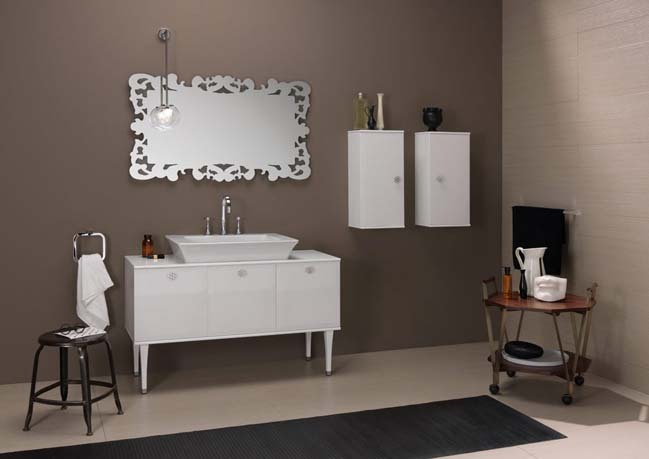 The furnishings that complete the sanitary ware are made of shiny enamel MDF with front panel doors and drawers covered with colored painted glass. 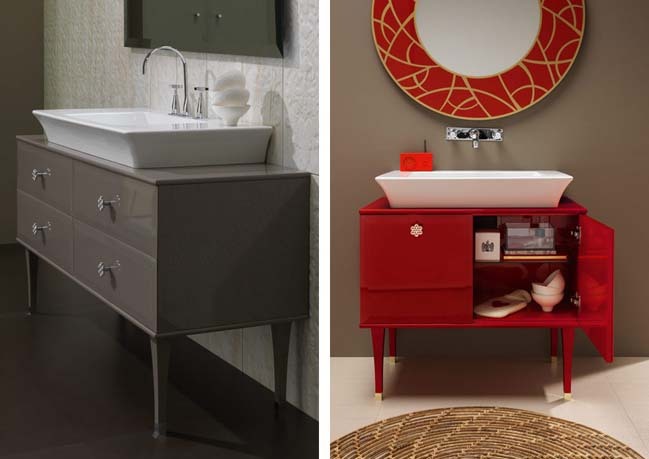 Vintage presents strong decisive colors such as red, turtledove and black combined with white; the shiny surfaces, the modeled jewel handles illuminated by crystals, the precious mirrors with linear decorations around the frame evoke the atmospheres of certain Hollywood films from the 1940s.